Onyx walls for interior architecture represent one of the most desired pursuits of designers: to merge the interior with Nature in order to transmit its essence and beauty through its organic and unpredictable forms. Onyx has an intrinsic sculptural concept, each piece is unique as if it was a fingerprint. It gives an aesthetic and tangible value to any type of architecture, from the soberest to the most spacious. The onyx embellishes the surrounding space and offers a unique expression, typical of of artworks. 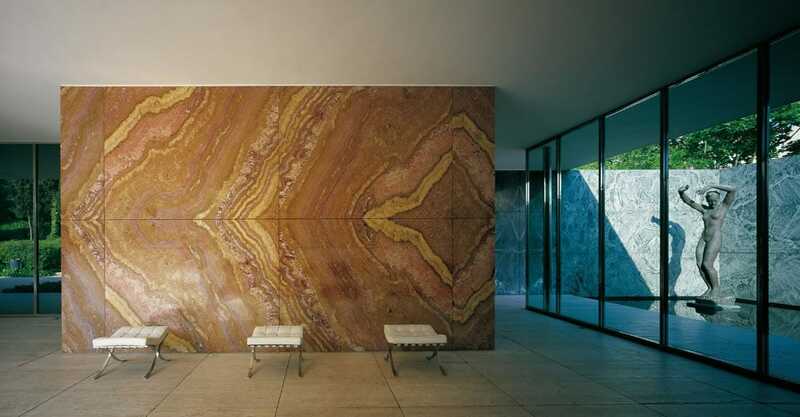 Ludwig Mies van der Rohe, one of the fathers of Modern Architecture and the last director of the Bauhaus, could not resist the aesthetic potential of the onyx walls. Together with Lilly Reich, Mies van der Rohe created the German pavilion for the 1929 Barcelona World Exhibition. This building currently holds the distinction of a Spanish Historical Heritage Monument. The main space of the pavilion is formed by a diaphanous rectangular floor plan whose elevation is defined by an impressive onyx wall. The slabs are set up according to the book match technique. A perfect composition to enhance the movement and natural symmetry of the original block. The contrast between natural stone and glass and other industrial materials translates into pure poetry and spirituality; as the author himself would say in “skin and bone architecture”. Seeing this wall we understand what Mies van der Rohe meant when he said: “God is in the details”. Onyx belongs to the agate family. 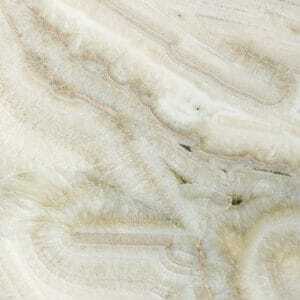 This semi-precious stone forms characteristic watermarks that are grouped in translucent waves. 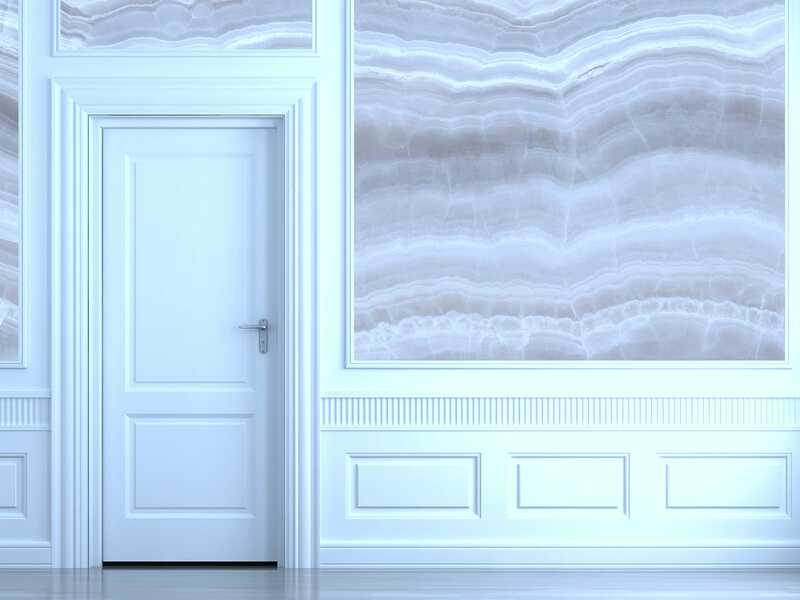 One of the most defining characteristics of the white onyx is its naïve appearance, a concept that the designer has perfectly captured in this bright and delicate atmosphere. As if it were a millenary, amber and fossilized trunk, the honey onyx (orange onyx) presides over the hall, overwhelming the visitors. 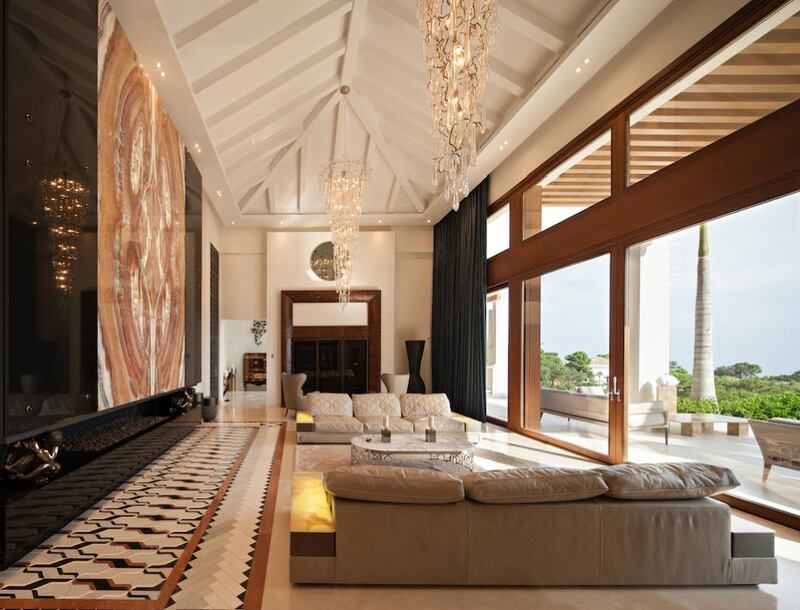 This luxury villa relied on TINO Natural Stone to decorate most of its walls with this material, considered a gem and admired as such. We continue in the same villa to visit its gym, relaxation areas, and indoor pool. 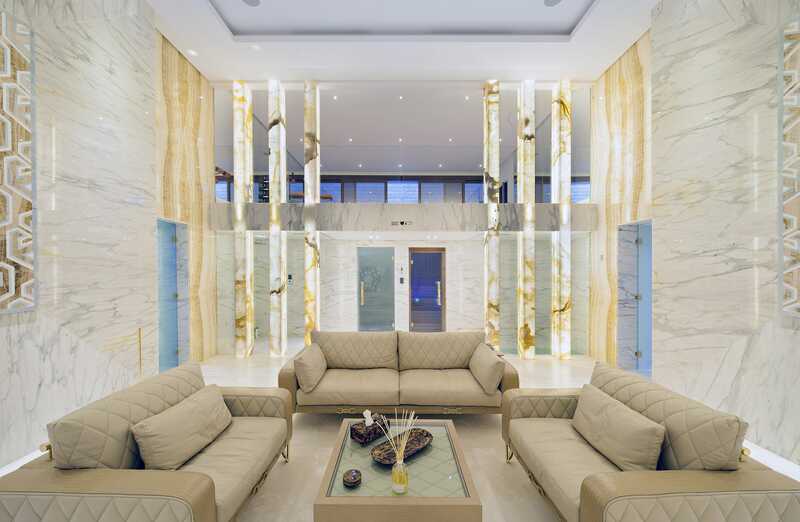 In all these spaces TINO participated by providing and installing backlit Fantasy Onyx and White Onyx walls. In the image, we see how the designer combined with elegance onyx walls with the also exclusive Calacatta white marble. 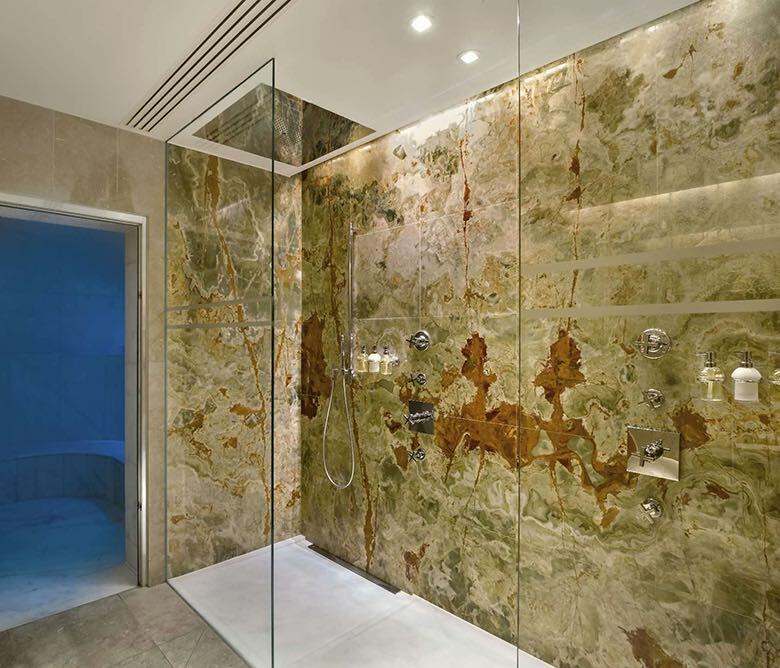 The famous and luxury company entrusted TINO Natural Stone with the cladding and flooring of its most exclusive areas. They required a different natural stone for this purpose. 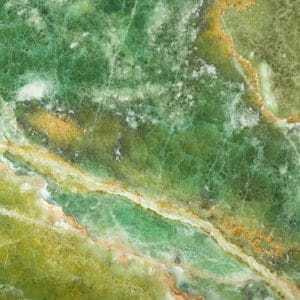 One of them was Green Onyx which stands out in the image. 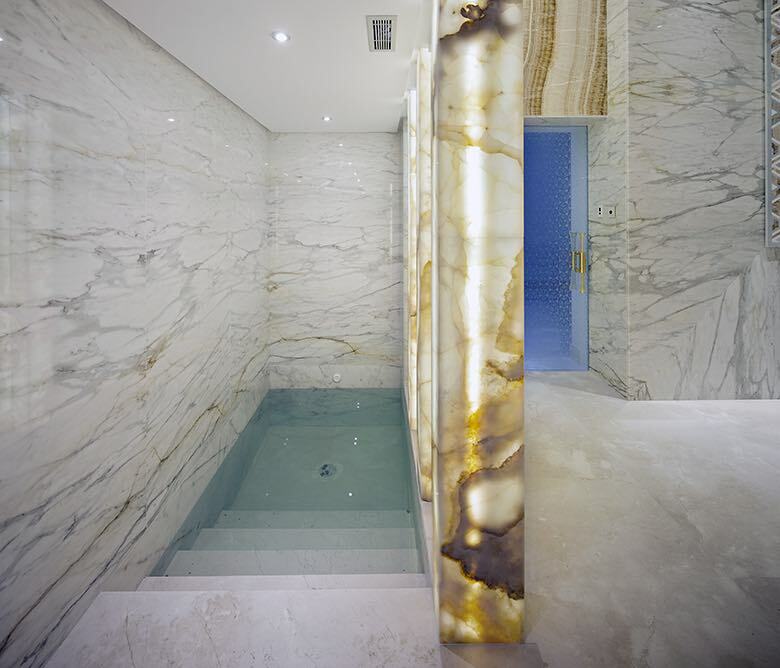 A royal shower area for one of the most luxurious spas in the world. This time we are visiting the restaurant of the Hotel Meliá Barcelona. They chose once again backlit orange onyx panels to add value and art to its already elegant atmosphere. We continue with the resource of onyx backlighting with this inspiration that combines it with Portoro black marble. 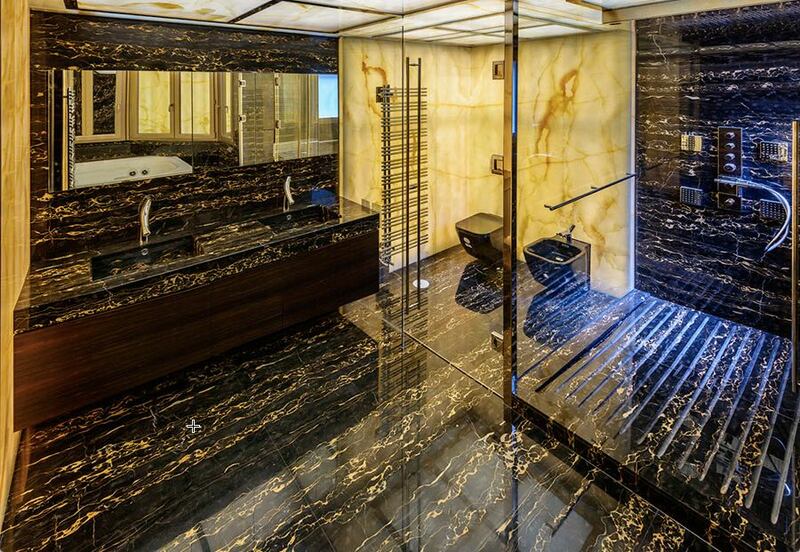 The light shining from the onyx wall brightens up the contrast between the black base of the world’s most expensive marble and its white and gold veins. To learn more, read our previous post “natural stone walls“. 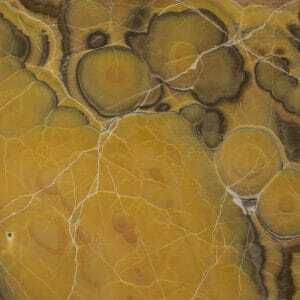 If you are also thinking of including onyx walls in your project, contact us or visit the professional area.